Bart van der Sloot specializes in the area of Privacy and Big Data. He also publishes regularly on the liability of Internet Intermediaries, data protection and internet regulation. Key issues are the recently adopted General Data Protection Regulation, international data flows, especially between Europe and the United States, and data leaks. Bart van der Sloot has studied philosophy and law in the Netherlands and Italy and has also successfully completed the Honours Programme of the Radboud University. He currently works at the Tilburg Institute for Law, Technology, and Society of the University of Tilburg, Netherlands. Bart formerly worked for the Institute for Information Law, University of Amsterdam, and for the Scientific Council for Government Policy (WRR) (part of the Prime Minister’s Office of the Netherlands) to co-author a report on the regulation of Big Data in relation to security and privacy. In that context, he served as the first editor of a scientific book with contributions by leading international scholars and as the first author of an international comparative study on the regulation of Big Data. Bart van der Sloot has an extensive list of publications, including books, book chapters and articles in national and international journals, magazines and newspapers on topics like Google Street View, Facebook, cookies, privacy in the healthcare sector, the right to be forgotten, profiling, safe harbor, international data flows, mass surveillance, the liability of hosting providers, wikileaks, open data, big data, re-use of public sector information, avatars, online identity and Electronic Programming Guides. He has given some 100 lectures and presentations, both at national and international conferences, for the general public and for professionals in both the public and private sector. Examples of previous clients include the Ministry of General Affairs, the Ministry of the Interior, the municipality of Amsterdam, the Clingendael Institute, the LIEC, the Board for the Protection of Human Rights, the Prano group, medical conferences and various closed meetings with large tech and media companies. Bart van der Sloot is the general editor of the international privacy journal European Data Protection Law Review. And board member of the European Human Rights Cases. 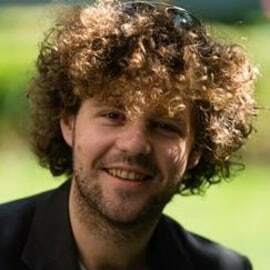 Bart van der Sloot is also the coordinator of the Amsterdam Platform for Privacy Research (APPR), which consists of about 70 employees at the University of Amsterdam who in their daily teaching and research activities focus on privacy-related issues. They do so from different perspectives, such as law, philosophy, economics, computer science, medicine, communication science, political science, etc. In that position, he also coordinates the minor Privacy Studies, an interdisciplinary minor at bachelor level about privacy and new technological developments. Previously, he was the chief organizer of two major international privacy conferences, namely the Amsterdam Privacy Conference 2012 and the Amsterdam Privacy Conference 2015 with speakers like Viktor Mayer-Schönberger, Helen Nissenbaum, Max Schrems, Amitai Etzioni, Jullie Brill and Gabriella Coleman and will organise the Amsterdam Privacy Conference 2018. He is also a member of the Privacy & Identity Lab.